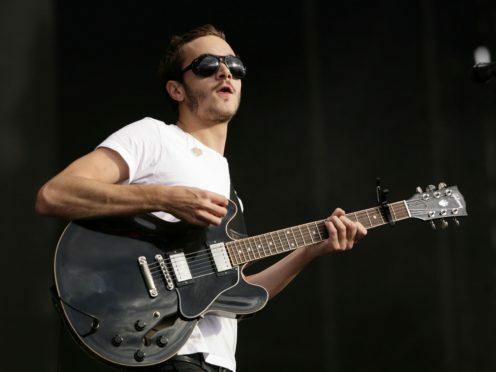 Rock band Editors are among 20 British music acts who have benefited from grants to help boost their profiles abroad, the Government has announced. In the latest round of funding under the Department for Trade’s Music Exports Growth Scheme, £295,000 has been allocated to artists to help fund projects across Europe, North America, Asia and Australia. As well as the Mercury Prize-shortlisted Editors, other acts to benefit were former Gallows singer Frank Carter’s band The Rattlesnakes, indie band Shame and pop singer JONES. The scheme is managed by the British Phonographic Industry (BPI) and supports small UK music companies by contributing to their artist marketing campaigns and promotional touring overseas. Over £2.6 million has been paid out over the four years it has been running, with half of the funds allocated so far supporting US touring and promotional activity. Rock acts have been given the most support with 34% of the grants going to bands of that genre. Pop acts have received 25% while jazz and blues musicians have been helped by 3% of investments. Male artists have accounted for two-thirds of the grants (66%), while a quarter (25%) of the acts supported are from the BAME community or feature BAME artists in their line-up. Editors latest album Violence was released in March. As well as peaking in the UK’s Official Album Chart at number six, it reached the top 10 in six other European countries. A spokesman for the BPI explained how artists with high profiles in the UK were still eligible for the scheme, as they often could not afford to fund overseas ventures. The spokesman said: “The Music Export Growth Scheme is designed to help promote a diverse range of UK acts. “This includes new acts, such as Shame or JONES, and relatively established ones, including the likes of Editors. Scottish singer-songwriter Nina Nesbitt has explained how receiving the funding has helped to develop her career. She said: “The grant will make a huge difference to my career and allow me to run a two-month-long campaign in the USA.